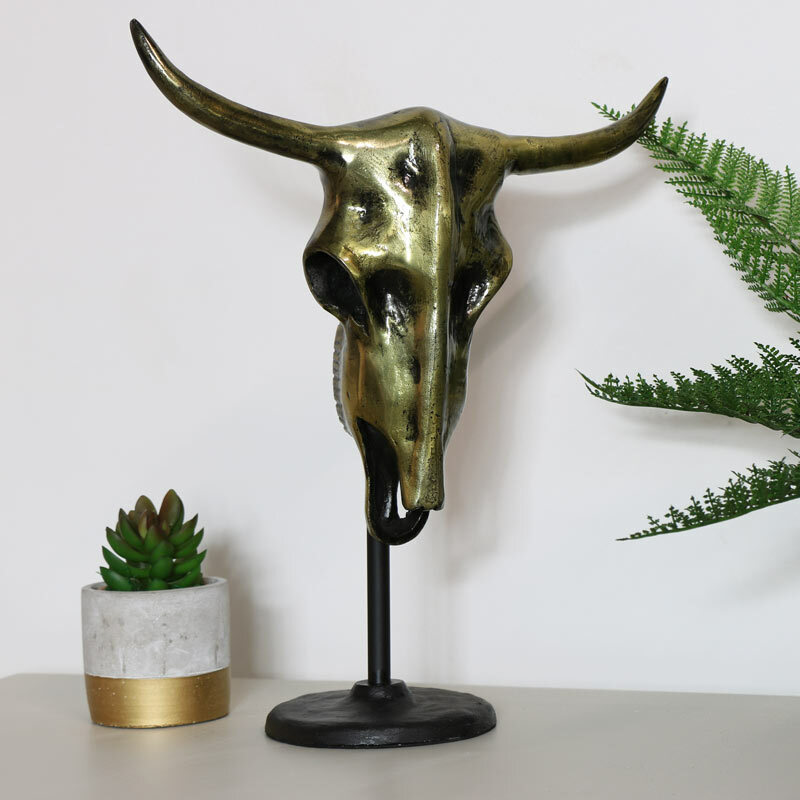 Add a rustic look to your home decor with this fantastic looking buffalo skull. Ornamental sculpture that will make a quirky statement. Made from metal, the head comes in a bronzed finish and is proudly displayed on a metal stand for a dramatic statement. This would make a fantastic display piece and add a great feature to any home. 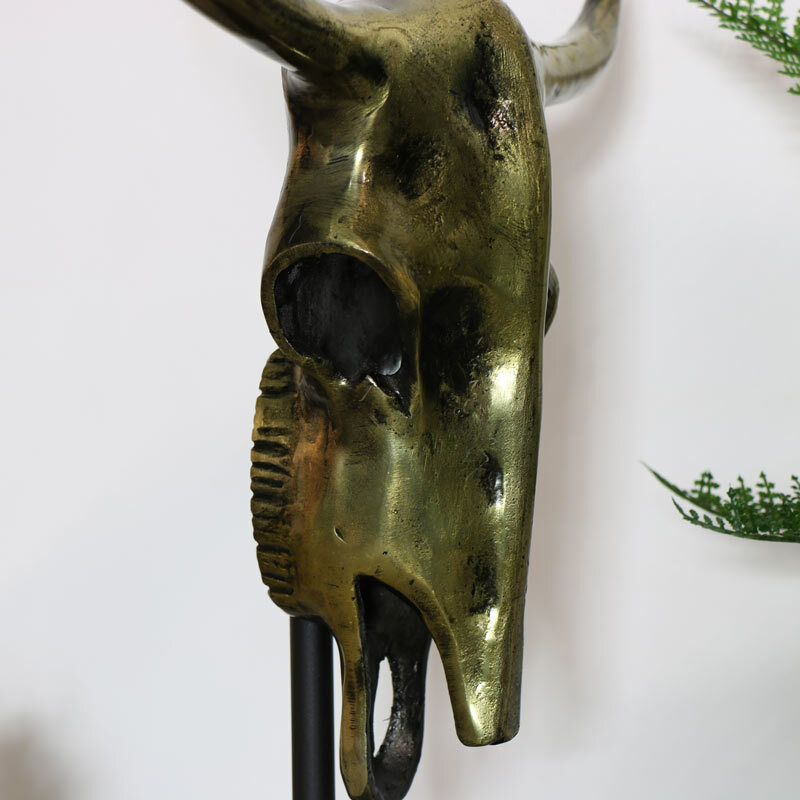 Add a rustic look to your home decor with this fantastic looking buffalo skull. Ornamental sculpture that will make a quirky statement. Made from metal, the head comes in a bronzed finish and is proudly displayed on a metal stand for a dramatic statement. This would make a fantastic display piece and add a great feature to any home. Cleverly crafted from metal with a realistic look and finished in bronze with a distressed effect.